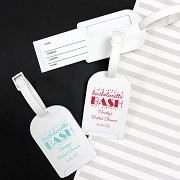 It's like a party in a bottle! 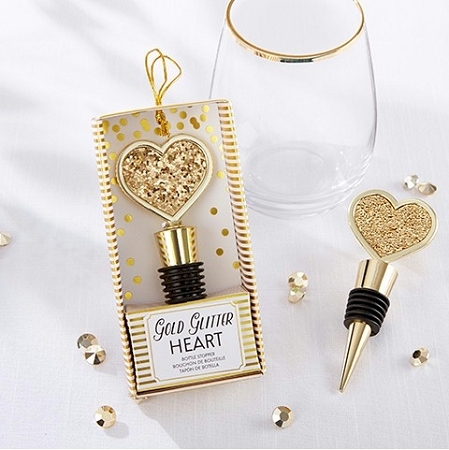 This Gold Glitter Heart Bottle Stopper makes an ideal party favor for your wedding, bridal shower, or rehearsal dinner, but its versatility doesn't end there! 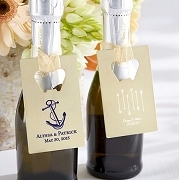 A perfect guest favor for any sort of event, this gold glitter bottle stopper uses shiny gold metal and a touch of beautiful sparkle to add a bit of fun into a favorite bottle of wine. 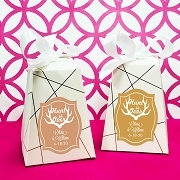 Gift packaging features open-faced white and gold foil striped gift box and decorative tag.